“There’s millions says Geoffrey all under one roof, it’s called Toys R Us, Toys R Us, Toys R Us, Toys R Us!”. Yes, you remember the jingle that got you all excited and wishing to go there, don’t you? Well seemingly, there’s not been so many visitors under that roof for a little while now, and soon enough there might not even be a roof left to speak of either. Today’s news will come at you as a true nostalgia killer in many ways. If you ever had a hope that one day you’d take your own kids down to Toys ‘R’ Us like your parents once did to you as a child, you may want to brace for disappointment: Toys ‘R’ Us are filing for protective bankruptcy in the USA and Canada. With kids these days opting for iPads, PS4’s, Xbox One’s and anything but using their own imagination in the form of physical toys or figurines, it’s become an increasing on-screen virtual entertainment world for children of today, devoid of toys to hold in hand, and in this change and lack of hugely popular products to stock at Toys ‘R’ Us for many years, stores are closing nationwide. Seems like they’re very late onto the online sales phenomenon, plus with websites like Amazon around and already dominating online sales, the Toys ‘R’ Us boat is sinking fast. In the USA, there’s still 1,600 stores and 64,000 employees. This move to file for bankruptcy will definitely put all of those people at risk of losing their jobs, and that’s just terrible. Do you remember back in the day when Toys ‘R’s Us was way more popular? Seems their fame has managed to carry them this far as they’ve still managed to stick around up until now, and this goes especially so in America, but now even more stores face closure, and as with all closures, subsequent job losses will go with it. This latest Bankruptcy move is only in effect in America and Canada for now, so it does not affect the UK, Australia, and the Asia factions, but one wonders if this can have a domino effect in the very near future. Online retailers continue to profit well, while traditional retailers like Toys ‘R’ Us have seemingly failed to adapt to the times, although they claim that many of their stores remain profitable and will continue to operate as normal during the forthcoming holiday season. However, GlobalData Retail estimated that in 2016, online sales consisted of 13.7% of all toys occurred online and not in store, up 6.5% from five years ago, which is a huge rise in online activity. Clearly, people just don’t like walking around massive store locations, where it’s impossible to find anything, unless of course, you’re going to Ikea or it’s Black Friday weekend… So, why would anyone want to do that at Toys ‘R’ Us? Just searching for toys in endless aisles? Surely, that’s every parents worst nightmare. With kids knowing that they can simply get everything online, it seems like Geoffrey and Toys ‘R’ Us haven’t been able to see ahead of the trends, even with their huge giraffe necks stuck out. At a stage like this, it seems like the best logical solution is for the brand to file for protective bankruptcy. Now that they’ve finally seen the light, they’ll ideally want to use the protective bankruptcy to restructure the business model and make the company viable for the long-term. However, with rocketing debts imminent, this is and will continue to be its biggest challenge. 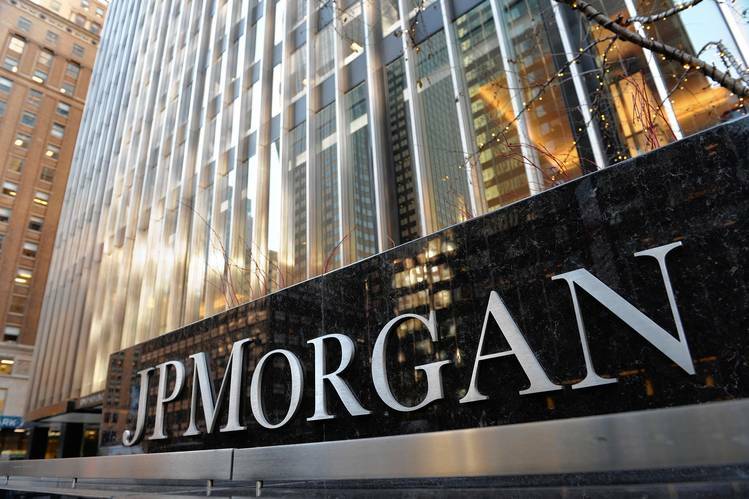 Various lenders and a JPMorgan bank syndicate have injected some $3bn into the company to turn things around, but without the right vision in place, this could all be seen as money wasted. Only time will tell if Toys ‘R’ Us will survive this critical lack of updating and adapting with the times and save itself from facing a full on bankruptcy. We have a sorry feeling that Toys ‘R’ Us might not make it back from the dead, but they aren’t the only retailer seeing financial doom staring them in the face. In the US, stores like Sears, Macy’s and various other large retailers have seen sales slumps, some of which suffering after doing some serious Donald Trump bashing, pre- and post- election, which just makes us wonder, did Geoffrey the Giraffe say something bad about President Trump too, or is this just a sign of the times that people just want stuff to their door, rather than go to some big super store? In the case of Toys ‘R’ Us, we think it is the latter, but we just can’t say the same for Sears or Macy’s though.